Size : S for US 2-6; M for US 8-10; L for US 12-14; XL for US 16; XXL for US 18Plus; XXXL for US 20Plus. 1. Soft, stretchy material is easy to adjust your body, helps with the fit. Comfortalbe to wear. 2. Various printed patterns for your choice, floral, animal, fruits, ect. Retro and fun. 3. Easy to match your favorite tops, great choice to wear a 1950's petticoat underneath. 4. 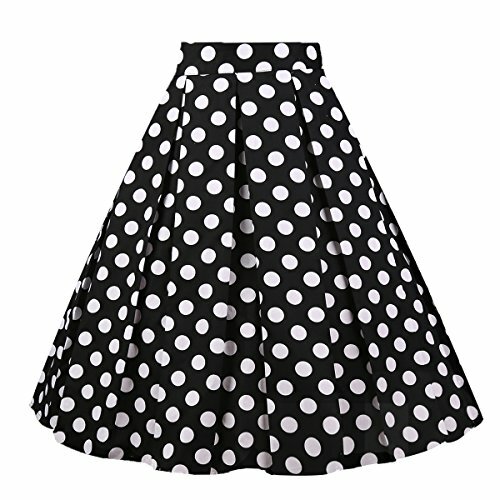 Skirts with pockets are convenient to carry items, your phone, change, or card bag. Size: Please check the size picture on the left. S for US 2-6; M for US 8-10; L for US 12-14; XL for US 16; XXL for US 18Plus; XXXL for US 20Plus. If you have any questions about this product by Girstunm, contact us by completing and submitting the form below. If you are looking for a specif part number, please include it with your message.